Welcome to eWIC, a faster and easier way to shop! With eWIC, your household’s WIC benefits will be put on one WIC account/eWIC card at your WIC office. A list of your foods will be given to you with the start and end date for your benefit period. You will use your NH eWIC card to buy your WIC foods at NH WIC authorized stores. Look for the NH WIC Accepted Here sign. Select your WIC foods using your household benefit balance and the NH WIC Approved Food List. WIC foods may be bought as needed during the benefit month, only buy the WIC items that you need. You will need to separate your WIC items when shopping at a smaller store. Swipe our eWIC card. Always use your eWIC card first before other forms of payment. Enter your four digit PIN. The card reader will ask you to confirm the WIC foods before deducting the WIC purchase from the balance on the card. Approve the foods bought with your eWIC card. Any remaining balance can be paid with cash, EBT or other form of payment accepted by the store. Take your card and receipt. Your receipt shows what you bought and what is left on your eWIC card. WIC foods may be used between the start and end date for the benefit month. Any unused benefits will expire at midnight on the end date for the benefit month. PIN is a four digit secret code that allows you to use your eWIC card. When selecting a PIN, choose four numbers that are easy for you to remember, but hard for someone else to figure out. How do I keep my PIN safe? DO NOT give your PIN to anyone that you do not want to use your card. If someone knows your PIN and uses your card to get food benefits without your permission, those benefits will not be replaced. What if I forget my PIN or want to change the PIN? Call the Customer Service number located on the back of your card to choose a new PIN. 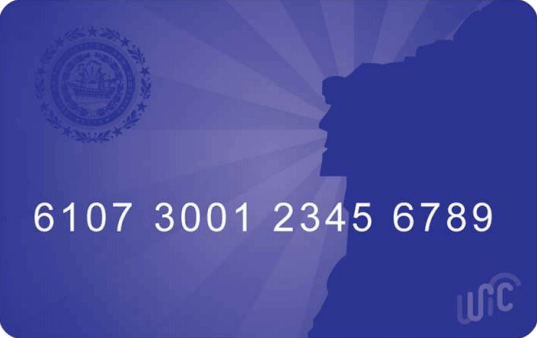 You will need the zip code and date of birth of the primary cardholder. What if I enter the wrong PIN at the store? You have four chances to enter your correct PIN. If the correct PIN is not entered on the fourth try, your eWIC card will be locked and reset at midnight. After three unsuccessful attempts, call Customer Service to reset your PIN and avoid having your card locked. If your eWIC card is lost, stolen, or damaged you can contact your local WIC office by tapping the “Find a WIC Office” button, call customer service at 1-855-279-0680, or call the State WIC Office at 1-800-942-4321.